Definers Public Affairs, a GOP-linked D.C. firm, conducted opposition research. As Facebook weathers a public relations crisis following the publication of a New York Times report earlier this month, a civil rights organization reportedly targeted by a consulting firm hired by the social media giant is set to meet with Chief Operating Officer Sheryl Sandberg on Thursday over those tactics. Color of Change is accusing Facebook of "paying operatives to place stories against us, targeting us with these anti-Semitic and anti-black tropes," President Rashad Robinson told ABC News. Facebook did not respond to ABC News' requests for comment. The latest controversy comes as Facebook faces mounting international pressure over the platform's handling of the spread of misinformation following several data breaches. Color of Change was one of the groups listed in a New York Times article detailing how Facebook failed to effectively combat fake news and Russian political meddling. Definers Public Affairs, a Republican-linked D.C. consulting firm, was hired by Facebook to look into the financial ties between financier George Soros and groups like Color of Change which received donations from the prominent liberal billionaire. (Leigh Vogel/Getty Images) George Soros, founder and chair of Soros Fund Management and the Open Society Foundation, poses for a portait during the 2016 Concordia Summit at the Grand Hyatt New York, Sept. 19, 2016, in New York City. Soros has been the subject of anti-semitic attacks in some conservative media over the years and was targeted by a pipe bomb last month, along with other public officials. Some right wing groups have attacked Soros for his funding of liberal groups and have tried to discredit those causes as manipulated by Soros — an attack that was called out by civil rights groups, including the Anti-Defamation League, as anti-Semitic. "Many of those conspiracy theories employ longstanding anti-Semitic myths, particularly the notion that rich and powerful Jews work behind the scenes, plotting to control countries and manipulate global events," the ADL said in a statement. Although Soros has contributed to "Color of Change," he has "never funded our platform accountability work" and is not the top contributor, Robinson said and added that he was surprised when reporters began asking him questions about his organization's connection to the billionaire over the past few months. Robinson said that Definers worked to paint "Color of Change" as "somehow controlled by George Soros and doesn’t have its own vision, doesn’t have its own ideas about what justice, fairness and equality looks like for black people ... like we’re some sort of puppets." And President of Open Society Patrick Gaspard, Soros’ philanthropic organization, called for congressional oversight in a tweet earlier this week. "So @facebook decides to drop a turkey on Thanksgiving eve, with admission that Definers was tasked by company leadership to target and smear George Soros because he publicly criticized their out of control business model. Sorry, but this needs independent, congressional oversight," he tweeted. Facebook ended its relationship with Definers after the publication of the article. And with CEO Mark Zuckerberg and Sandberg under fire, Elliot Schrage, the company's outgoing head of communications and policy, took the blame for hiring the PR firm, writing in a statement last Wednesday that "Responsibility for these decisions rests with the leadership of the Communications team. That’s me. Mark and Sheryl relied on me to manage this without controversy." Definers did not respond to ABC News' requests for comment. Facebook said the report was full of "inaccuracies" in a statement released November 15 and initially, Sandberg wrote in a Facebook post that she "did not know" Definers was hired and did not know about "the work they were doing." But in a statement included in Schrage's memo, Sandberg acknowledged that the after she "asked our team to look into the work Definers did for us and to double-check whether anything had crossed my desk," they found that "some of their work was incorporated into materials presented to me and I received a small number of emails where Definers was referenced." In a Facebook post, Schrage acknowledged that Definers was directed to "work on" Soros after the billionaire slammed Facebook as a “menace to society" that is hurting democracy in a January speech at the World Economic Forum in Davos. Schrage added that Facebook "wanted to determine if [Soros] had any financial motivation" and that they learned that he was funding several coalition members of the "Freedom from Facebook" group. 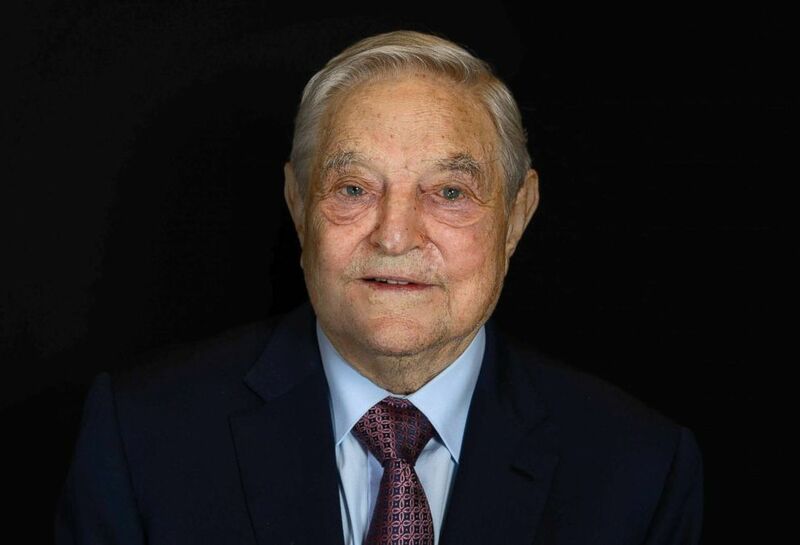 "Definers pressed reporters to explore the financial connections between Mr. Soros’s family or philanthropies and groups that were members of Freedom from Facebook, such as Color of Change, an online racial justice organization, as well as a progressive group founded by Mr. Soros’s son," the Times reported. 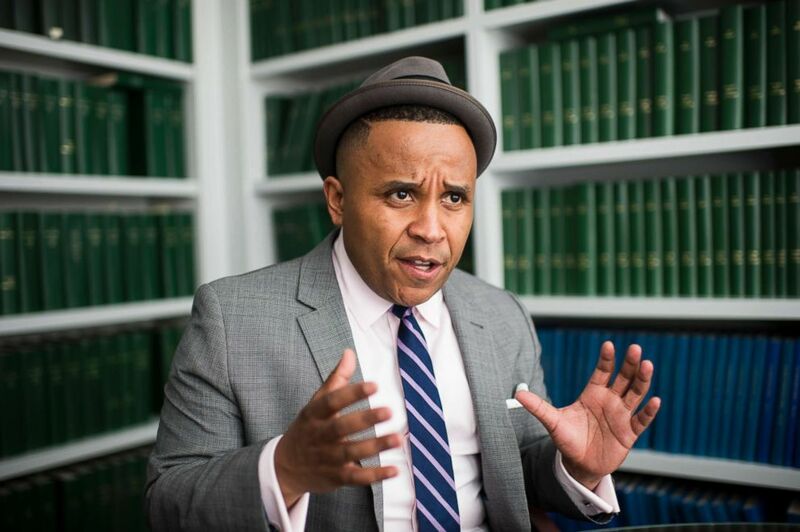 (Bill Clark/Getty Images) Rashad Robinson, ColorOfChange executive director, speaks to press in his office, April 20, 2016. But according to Robinson, "Color of Change" was "not nor have we ever been a member of that group." They are currently not listed on the "Freedom from Facebook" site. Robinson said that Facebook has not yet apologized or explained whether they directed Definers to target their organization and he, along with several key members of his group, is set to meet with Sandberg on Thursday at Facebook's headquarters in Menlo Park, California to seek answers. 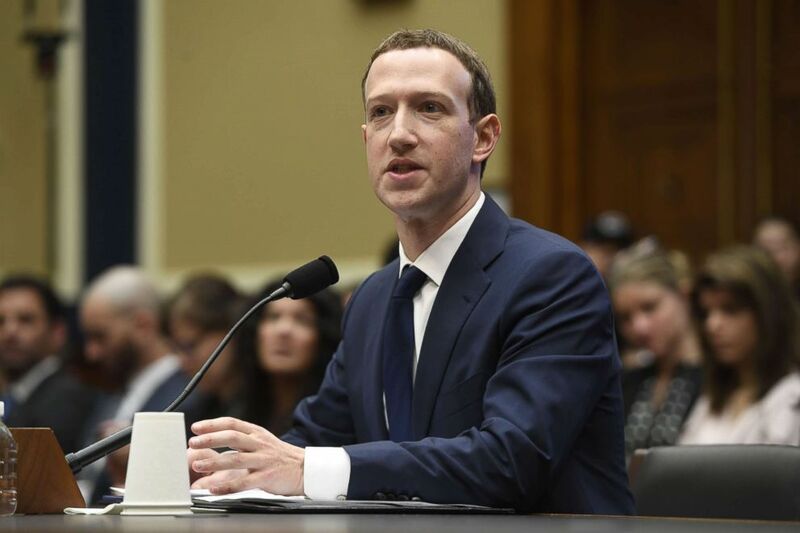 "It's time for Facebook to grow up ... and be held accountable," he said, adding that this situation speaks to "how much Goliath will do to beat down David." The social media company previously agreed to conduct a civil rights audit earlier this year and examine ongoing concerns over alleged discrimination in advertising and other matters on its platform. 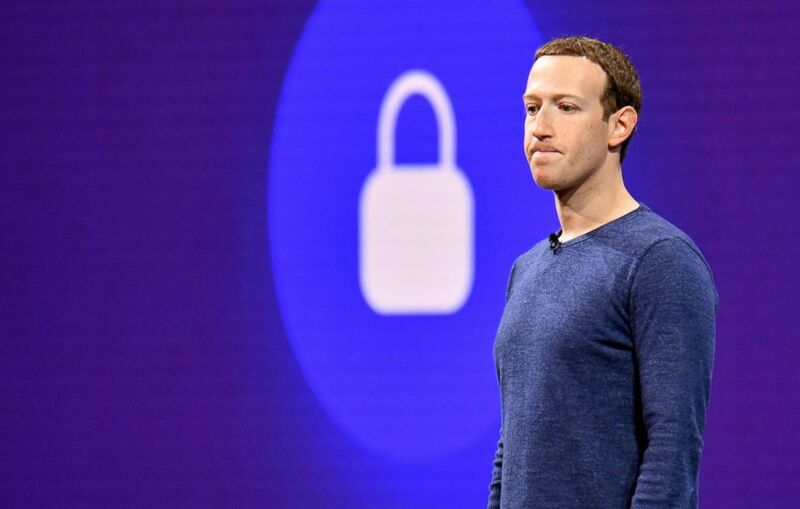 (AFP/Getty Images) Facebook CEO Mark Zuckerberg speaks during the annual F8 summit at the San Jose McEnery Convention Center in San Jose, Calif. Ahead of the meeting, "Color of Change" released a list of demands, including, the immediate firing of Facebook's Vice President of F+Global Public Policy Joel Kaplan and "the PR firms Facebook worked with to delegitimize Color Of Change and our partners," the release of opposition research compiled by the PR firms and data on voter suppression attempts, as well as a demand that Facebook "commit to a timeline for public release of the civil rights audit" conducted by a third-party that Facebook agreed to in May. "One of the reasons why we’ve put the demands out so publicly is to give Facebook the opportunity to figure out how to deal with demands before we show up," Robinson said. Among other things, the civil rights organization has called on Facebook over the past three years to be more transparent about their rules and their algorithm, including marketplace rules that allow users to target sales to specific groups while excluding others and situations where "black activists were being attacked by white supremacists."